*Where Are You Christmas? EP – Available Everywhere Tomorrow! 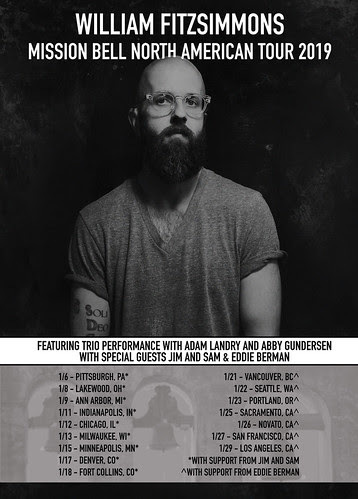 William is excited to announce that he’ll be heading out on the road in a trio configuration for Jan/Feb 2019 to bring the Mission Bell album to you live! Right now we’re just announcing the first half of the tour, more dates will be announced in the coming weeks. Get your tickets now and check out the dates below. Joining William on the first half of the tour, from Pittsburgh through Colorado, will be Jim and Sam. For the West Coast run, Eddie Berman will support from Vancouver through Los Angeles. If you haven’t, please check out both acts as they are fantastic and will be incredible additions to these upcoming shows. Tickets for select dates are on sale now through William’s Fan Ticketing Site (WFTS) and all the ticket links can be found above. Also, anyone who purchases a ticket through WFTS will automatically be entered to win a pre-show meet & greet with William, where he will serenade you and your guest with a super depressing song. Sadly, most, but not all shows are able to sell tickets through WFTS, so this option isn’t available for every date, but we’ll find other interesting ways to make it up to those markets where we can’t sell directly! Lastly, when purchasing your tickets via William’s Fan Ticketing Site (WFTS), you can add a copy of Mission BellCD & vinyl to your WFTS ticket purchase for an additional savings. You’ll be able to pick up your CD and/or vinyl on the night of the show at the merch stand! As if the tour news wasn’t enough! 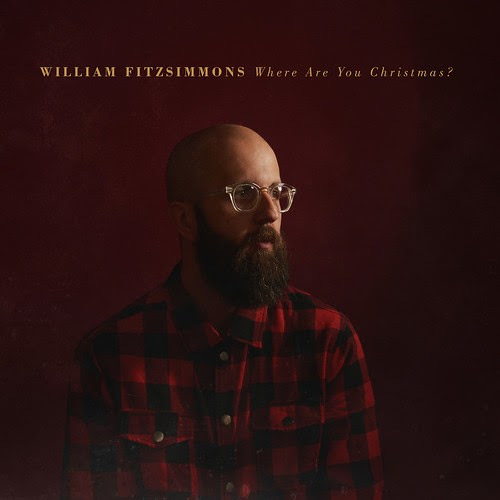 We’re really happy to announce that tomorrow, November 16, William’s new Christmas EP, Where Are You Christmas? will be available digitally everywhere. The EP contains four songs, with two classic covers and two original songs. You can stream or purchase the EP HERE starting tomorrow.